 A reliable source for Power Supplies information and a resource for accessing leading Power Supplies and suppliers. Power supplies form an integral part of the electro-mechanical world. From a broad perspective, their primary function is to provide electric energy to all types of electronic circuits (e.g. small electronic devices, large machinery) in both the commercial and industrial worlds. From a narrower perspective, their primary function is to power electrical circuits by converting or adapting one form of electrical power into another. Grasping the parallel understandings of the term power supply is key in order to clarify the confusing terminology which often surrounds this subject. According to the broad definition, virtually every electronic device carries a component that can be identified as a “power supply” (e.g. flashlights containing batteries). It is important to note, however, that the term power supply strongly carries the connotation of converting pre-existing electric power into a more suitable form for a specific application. Oftentimes components identified as “power supplies” are physically integrated into the device or circuit the power (although independent units definitely exist). One of the most common examples of a power supply is the adaption of electrical circuits to power computers. Ironically, this application can be a source of further terminological confusion. A power supply unit (PSU) converts alternating current to direct current (discussed below) for a computer while a power brick refers to a specific type of standalone converter for laptops. Both of these terms, however, are sometimes applied to the more general idea of a power supply. Similarly, the term power adapter technically refers to a component that converts a power supply by physically enabling a device to fit into a terminal with an otherwise incompatible shape. However, the label is sometimes indiscriminately applied to power supplies in a more general sense. Power Supplies Power supplies form an integral part of the electro-mechanical world. From a broad perspective, their primary function is to provide electric energy to all types of electronic circuits (e.g. small electronic devices, large machinery) in both the commercial and industrial worlds. 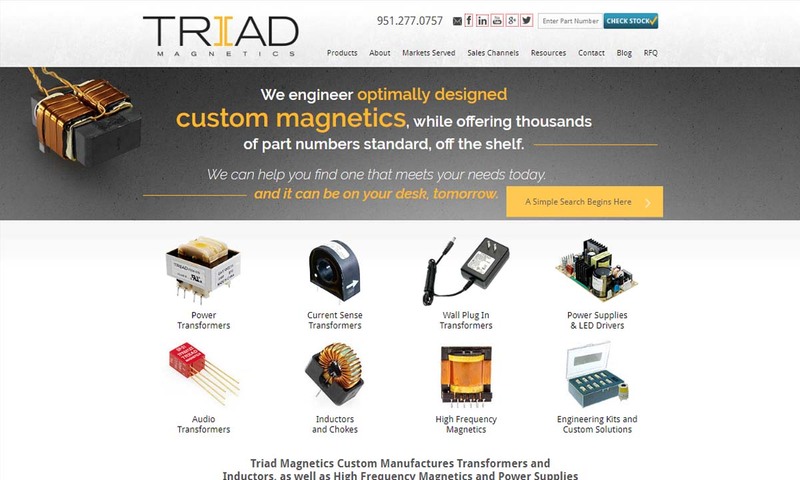 Our company offers a variety of standard and custom power supplies. These items are great for a wide range of applications. If you have any special requests then please let our representatives know. 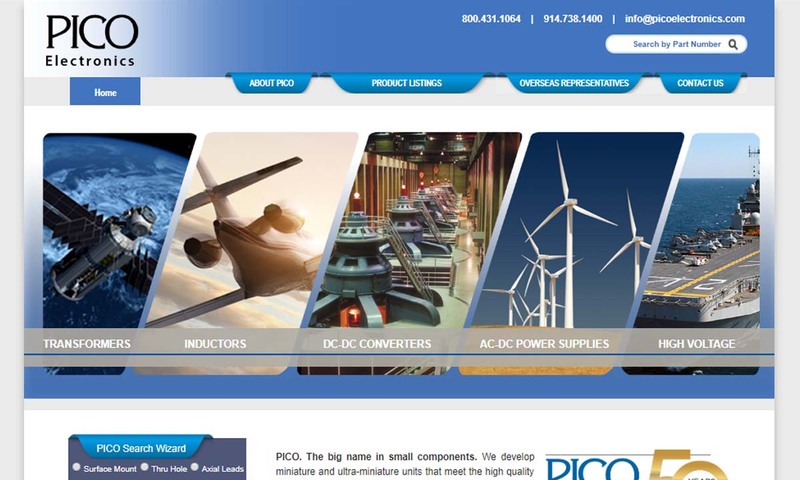 Pico Electronics specializes in power supplies, AC to DC power supplies, DC to DC converters, transformers, conductors and more. Ever since our founding in 1967, our company has been offering high-quality customer service and support for all our products. 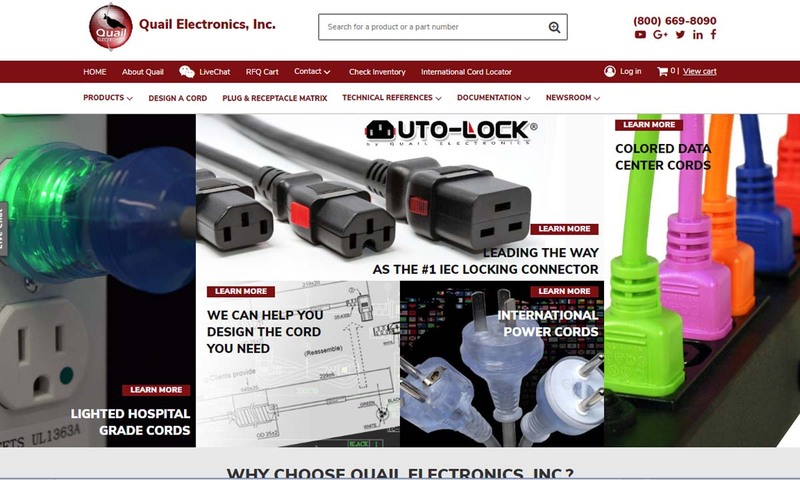 At Quail Electronics, we are your power cord specialists. Our power supplies consist of green dot cords, high voltage cords, North American and international cords, specialty cords, plus adapters, plugs and strips. Manufacturing a wide range of AC to DC and DC/DC switching power supplies, COSEL USA is ISO 9001 and 14001 approved. Our products are used in aerospace, data and image processing, factory and office plus medical applications. 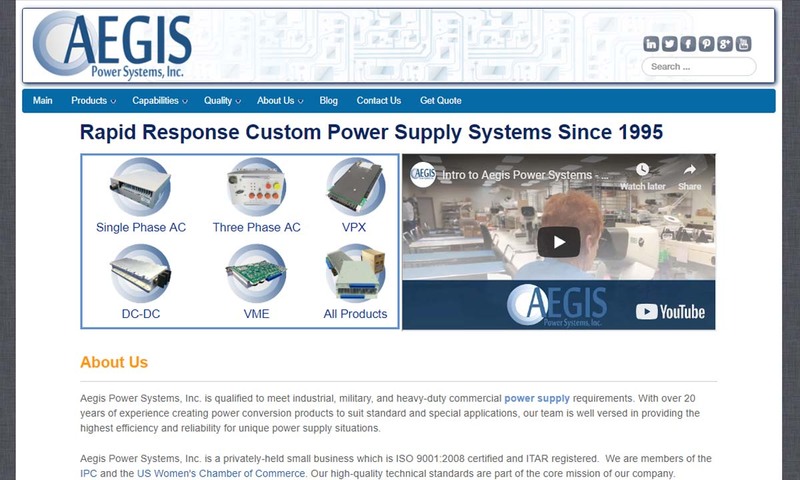 Aegis Power Systems, Inc is a top manufacturer of switch-mode power supplies for military, aviation, industrial, robotics and unmanned systems, electric vehicle, and marine applications. There are a number of ways in which power supplies may be divided or categorized, including functionally, mechanically, and by power conversion method. To ensure it can properly channel electrical energy, every power supply possesses a power input, (which receives incoming energy) and a power output (which transmits converted energy to the load). Usually, a power supply’s input and output are made up of hardwired circuit connectors or electrical connectors. (Some power supplies, instead of employing galvanic connections, utilize wireless energy transfer). The electrical energy that the power input receives may come from a number of sources, such as electrical transmission systems, solar power converters, fuel cells, batteries, and other energy storage devices, generators, and alternators. Even though power supplies can vary widely, there are a few other components that many of them share in common. For example, many computing power supplies have some type of input voltage switch, which enables power cords to work in different countries by adjusting the external power coming through electrical outlets. There are a number of ways in which power supplies may be divided or categorized. Often, power supplies are classified by their function, mechanical structure, or power conversion method (either separately or simultaneously). In light of the aforementioned definitions of power supply, methods of power conversion are obviously an important aspect of categorizing power supplies in general. Power supplies are commonly described as converting incoming electric current into the correct output of current, voltage, of frequency. Current is the specific rate at which electric charge flows. Voltage specifically refers to the electric charge differential between two separate points in an electric circuit (it can be thought of as the phenomenon responsible for producing current). Frequency refers to the number of electric circuit cycles which occur inside a predefined unit of time. From a high-level perspective, power supplies can be divided into linear and switching types. Linear power supplies process input power directly, and all of their active conversion components are contained inside their linear operating regions. One example of this is a frequency to voltage converter, which uses an operational amplifier to manage linear signals. Switching power supplies make up the majority of power supplies. They work by taking input power and convert it to alternating current (AC) or direct current (DC) pulses before processing it. The converting components of switching power supplies primarily operate in non-linear regions, resulting in a better level of efficiency. Since most power supplies are switching types, a major dividing line between power supplies is whether they operate using alternating currents (AC) or direct currents (DC). The difference between AC and DC power is quite straightforward. AC power supplies operate via an electrical charge that periodically reverses (or alternates) direction at consistent intervals. (The measure of the alteration of a current is represented by a unit of frequency called Hertz, which is defined as one cycle per second. A 60 Hertz (Hz) current alternates sixty times in one second.) DC power supplies, on the other hand, use an electrical charge that flows only in a single linear direction. Power supplies may convert one type of flow into another (e.g. an AC-DC power supply) or change one type of current to a different level of intensity. Regulated power supplies maintain a constant output regardless of variations in input. (Both input and output are typically discussed in terms of current or voltage.) They operate by using a voltage regulator in conjunction with their output component. Some regulated power supplies can use multiple voltage regulators to maintain different outputs for separate devices. Adjustable power supplies are marked by having programmable load currents or output voltages. These values may be programmed with mechanical controls, a control input, or both. Adjustable power supplies tend to range farther in terms of variation and sophistication than other types of power supplies. They are capable of producing both AC and DC power. Adjustable regulated power supplies form a hybrid category containing power supplies which are both adjustable and regulated. Bench power supplies are standalone desk units used for applications like circuit test and development. Open frame power supplies are usually built directly into existing equipment or machinery and only have a partial mechanical enclosure. In fact, they sometimes consist only of a mounting base. Rack mount power supplies are made to fit into standard electronic equipment racks. Integrated power supplies are power supplies that share a printed circuit board with their load. An extremely broad range of electronic devices depends either in part or in whole on some type of power supply. A small sample of such devices include computers, cell phones, battery chargers, kitchen appliances, various types of industrial machinery, and electric motors. Some specific types of power supplies are used more with other certain applications than others. For example, frequency to voltage converters are often used in automotive testing applications, such as the evaluation of tachometers and speedometers. On the other side of the spectrum, adjustable power supplies are commonly used for electron microscopes and scientific equipment used for chemical analysis. AC and DC power supplies are usually harnessed to provide power to different types of electrical products. DC power supplies usually work inside metal conductors, medical equipment, process control systems, video technology, laptop computers, and cell phones. Usually, they are independent from the electronic device they are powering and housed inside a protective casing. AC power supplies, on the other hand, are often used to power the electrical functions of residential and commercial buildings, as well as electronic adaptors or converters. (This is due to the efficiency of transporting AC over long distances.) As has been mentioned before, power supplies which convert AC to DC via electrical outlets and power supply cords are some of the most common forms of power supplies in general. Common household appliances which plug into AC outlets usually have a component known as a rectifier (made from electronic pieces known as diodes) that is responsible for the actual AC to DC conversion. Other household appliances function via the DC to AC conversion; they depend on components called inverters which transform DC into AC smoothly varying, usable forms of energy. Power supplies may be purchased or ordered in a wide variety of configurations and designs. Customers, for example, are offered a number of different ways to present monitored and measured current and voltage information, including analog visual indicators, graphic displays, video displays, and digital numerical displays. Optional features include computer interface technology, adjustable voltage, fan cooling systems, water cooling, overvoltage protection, overcurrent protection, integral heat sinks, power factor correction, pure sine output, short circuit protection, and backup batteries. Other things to consider when purchasing power supplies include a unit’s output voltage, output power, output frequency, number of outputs, apparent power, operating temperature, and whether the unit runs on direct current, alternating current, or both. 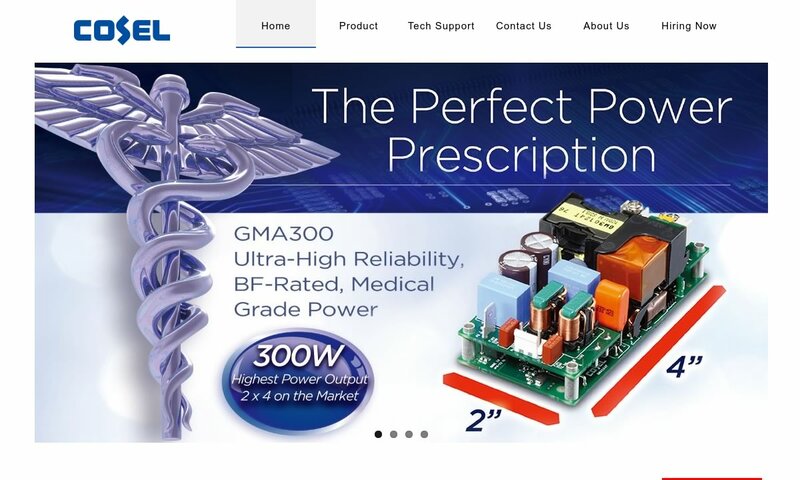 It is always wise to invest time in finding a quality power supply provider who can provide you with not only a broad range of products but also a deep level of expert advice to aid you in power supply selection. The scenarios below illustrate just a few of the kinds of factors that need to be assessed as you consider the best power supplies for your specific application. Switched mode power supplies are ideal for scenarios where efficient power use is of prime importance. Unfortunately, switched mode power supplies tend to be more complex and produce greater electrical “noise” than other types (e.g. 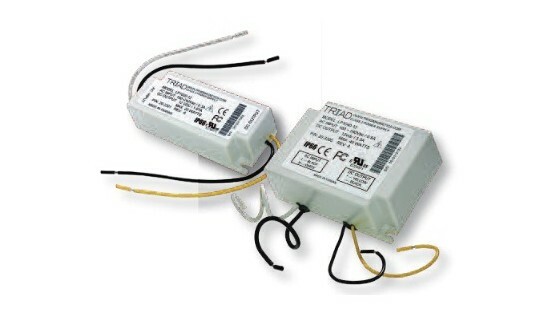 linear power supplies). Sometimes the interference from a switched mode power supply will require additional shielding to keep it from affecting other electronics. Unregulated power supplies are, in general, less expensive than regulated ones. However, unregulated power supplies (by definition) do not supply clean or predictable power. Thus, if you are powering sensitive electronic equipment, it is probably necessary to make the financial investment in regulated power supplies that can provide clean and predictable voltage.